Green Park Hotel is located along Victoria Street, in the inner city suburb of Darlinghurst. 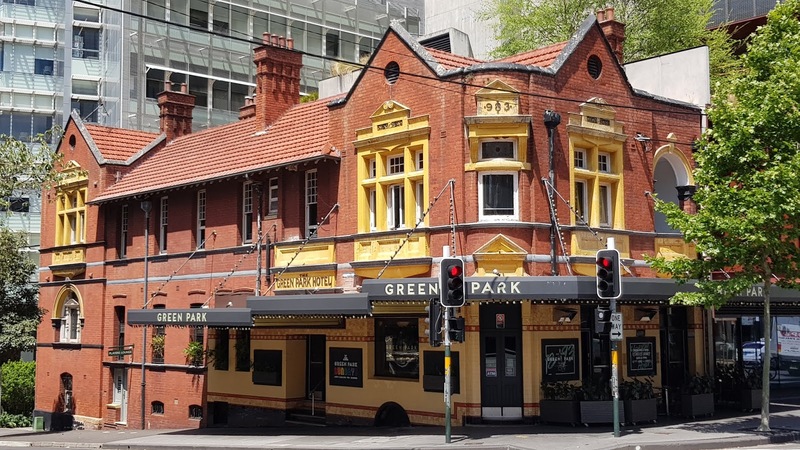 This heritage listed pub was built in 1893 in the Federation style, with influences of Free Classical and Arts and Crafts styles. Linked to: Our World Tuesday, Tuesday Treasures, Pictorial Tuesday, Travel Tuesday, Thursday Doors. Must have been a happenin' place back in the day. I love these old pubs. We went to The Australia, I think it was called, near the Bridge, and had Coat of Arms Pizza! Have a great week Jim. Wow. Kangaroo and Emu on a pizza. I've never had that. A lovely old building that must have seemed very large in its day. So much more character in the design than the newer ones built along the way. Wonderful building! Nicely photographed, too!! I agree with the other comments. Great building!